Nearly a year after former defense secretary Jim Mattis inked a memo to create the first task force focused solely on making close combat formations more lethal, the group has coordinated efforts to add more than $3 billion toward that goal and now has another year to find a way to institutionalize its mission. Despite the overwhelming sacrifice of close combat units, from infantry to scouts, combat engineers and special operations forces in America’s wars, their equipping, training and cohesion has often received short shrift in funding when compared to stealth bombers, aircraft carriers and even the ground vehicle programs that support them. Mattis, influenced by his time as an infantry officer, brought together reform supporters such as retired Army Maj. Gen. Bob Scales and others to establish the Close Combat Lethality Task Force in 2018 and harmonize efforts across the Army, Marines and SOF communities for best practices and common goals. In less than a year, a new task force formed at the direction of the Pentagon’s most senior leaders is pushing key equipment programs and putting personnel policies under a microscope — all to take close combat units to the “next level” of war-fighting overmatch. CCLTF Director Joe L’Etoile, a retired Marine infantry officer, sat down with Military Times recently to talk about some of the past year’s work and added focus of the task force in the coming year. While L’Etoile gets a lot of questions from reporters about new weapons, gear and progress in improving items such as night vision, targeting and the next generation of squad weapons, the director said that there’s a risk in simply looking at dollar figures and hardware. About three months ago, he said, the task force shifted its main line of effort to manpower policy at the squad level in the Army and Marine Corps. Some of that is also tangible. Adding strength coaches, physical trainers and nutrition experts that were common at SOF unit headquarters to the regular infantry formations was an uncontroversial first step in better meeting the needs of that physically demanding job field. A lot of time in the past year, L’Etoile said, has been devoted to “socializing” ways of doing business, going after unit cohesion that produces a well-trained, stable and experienced squad ready for combat. That has led to somewhat of a near-term mission, in L’Etoile’s thinking. “This is the year we should stabilize squads,” he said. 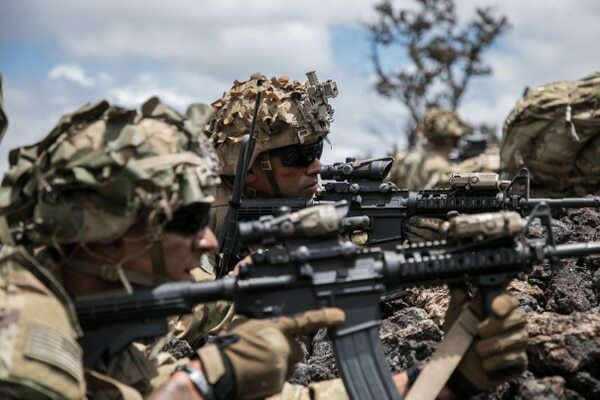 What that means is an overhaul of how the Army and Marines have been treating infantry squads as a catch-all working party for the needs of the higher headquarters. It also means a change in how the integral bridge to combat effectiveness ― a competent, experienced and trained squad leader ― remains with the unit that needs him most. L’Etoile drew upon his own experience as a Marine infantry commander. “You pin on sergeant at the four-year mark in the Marine Corps. The 4-year mark is coincidentally when your enlistment is up. The four-year mark is coincidentally when the Marine Corps comes looking for you to be a recruiter or drill instructor,” he said. So, those most ready to lead, those who’ve made the rank and likely have a deployment or two completed, are either ending their enlistment or headed out of the infantry, leaving few sergeants to lead those squads. And there’s a ripple effect on other ranks. Base commanders call around for personnel to do a host of tasks from range duty to gate guard to lifeguard and before a company or battalion commander knows it, they’re headed to unit training with six Marines in a squad that should have 12 or more. Through new reporting methods that track the availability and readiness to the squad level in both the Army and Marine Corps and a hybrid of options such as increasing six-year enlistments, two-year extensions and early talent identification, L’Etoile said the services are beating back past readiness problems. They’ve also taken notes from prestigious SOF units such as the 75th Ranger Regiment, Army Special Forces, Marine Special Operations Command and Navy SEALs, among others to apply their methods of identifying traits and capabilities in candidates to the infantry recruitment and retention process. The task force is taking input from a sample of close combat operators as part of its research and application, asking them what they need to do their job and keep their ranks healthy and ready. That’s not to say that the funding and support the task force has coordinated toward hardware projects such as the Next Generation Combat Weapon program and the integrated visual augmentation system, or IVAS, are not increasing the lethality of small units. 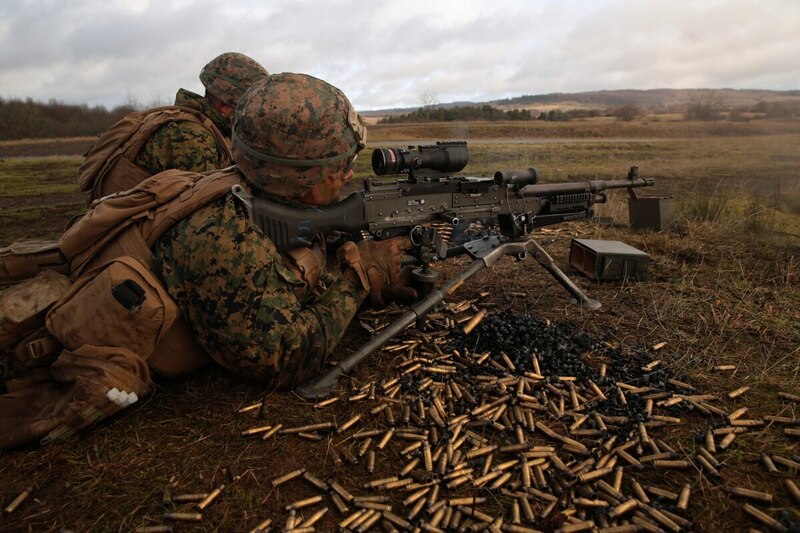 The NGCW concept has been floating around the halls of the Pentagon in some form or another for more than a decade to replace the M16/M4 rifle/carbine platform with a better bullet and fire control system. And the IVAS is a leap-ahead tech project that aims to put targeting, night vision, biometrics and other inputs into a device close to the size and weight of a pair of sunglasses. The task force has also put its weight behind recent efforts and funding in urban fighting and its close cousin, subterranean fighting that troops are likely to face in the next major conflict. What’s likely the next step is finding new ways to employ these capabilities, L’Etoile said. The services will need to develop conceptual changes on how to fight in the next five, 10, 20 years, he said. Some of that is being worked out on the strategic and operational levels with the Army’s Multi-Domain Operations concept that is being jointly developed with the other services. But what L’Etoile is talking about also brings that to the tactical level, because with new capabilities and training the role of even the smallest units such as squads will have an outsized impact on how the battle unfolds. Technology and tactics will give those units and leaders down at the sergeant level a more distributed lethality than they’ve had access to in the past. There have been other task forces that were created for singular purposes, such as the mine resistant, ambush protected team that found ways to speed up the building and deployment of MRAP vehicles. There have been others that had similar focus and then became permanent entities, such as Joint Improvised-threat Defeat Agency, that formed to counter the Improvised Explosives Device threat. There may be some parallels, but the CCLTF has both a focus and a broader mission that doesn’t necessarily end. There is no end date in which the squad is lethal enough.